Hiking down toward Spirit Lake in late October 2005, I found the sheer scale of destruction on May 18, 1980, incomprehensible. 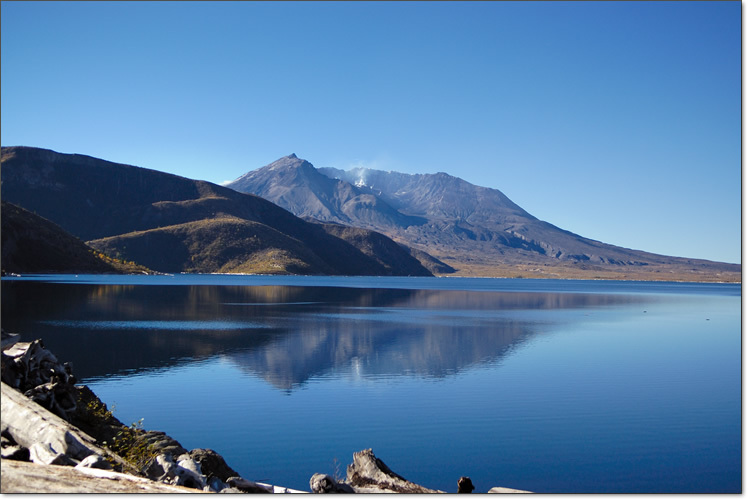 The shell of a recently revived Mount Saint Helens puffed out steam across the water. In the eerie stillness, because there were no visual cues to lend any sense of distance or size, I might have been looking at a model of the real thing. This distorted perspective was resolved when I pulled out the Boyd Ellis postcard that I carried to make the repeat. 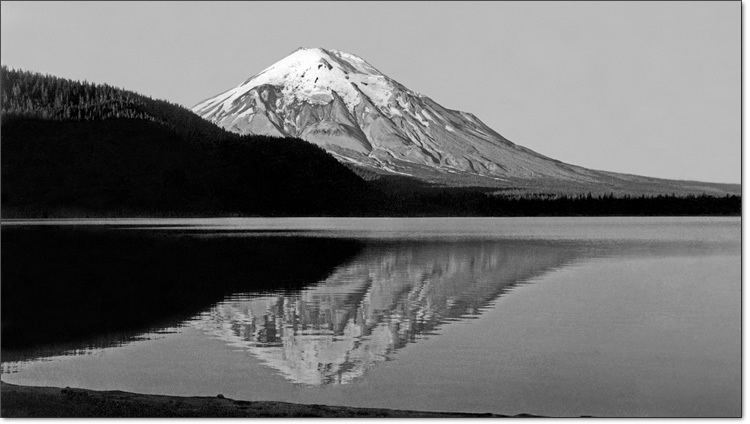 In Ellis’s photo of an austere morning with the 9,677-foot mountain reflected in all its glory, the serrated edges of tree-lined ridges provided a yardstick by which to measure. And then I understood.